Performers include: David Duchovny, Gethin Anthony, Grey Damon, Emma Dumont, Claire Holt, and Chance Kelly. This dramatic thriller series takes place in 1967 in Los Angeles, two years before the infamous Tate-LaBianca murders of 1969. LAPD Homicide Detective Sam Hodiak (David Duchovny) is a decorated World War II vet who barely recognizes the city that he’s now policing. Long hair, cheap drugs, rising crime, protests, free love, police brutality, Black Power, and the Vietnam War are all radically remaking the world that he and the Greatest Generation saved from fascism some 20 years ago. Emma Karn (Emma Dumont), the 16-year-old daughter of a former girlfriend, goes missing in a sea of hippies and Hodiak agrees to find her. He faces only hostility, distrust and silence. He enlists the help of Brian Shafe (Grey Damon), a young and idealistic undercover vice cop who’s been allowed to grow his hair out. Shafe infiltrates this new counterculture to find her. The generational conflict between the two is immediate and heated, yet they’re both dedicated officers. They soon realize that the need to bring Emma home is more urgent than they first thought. She has joined a small but growing band of drifters under the sway of a career criminal who dreams of being a rock star — Charles Manson (Gethin Anthony). 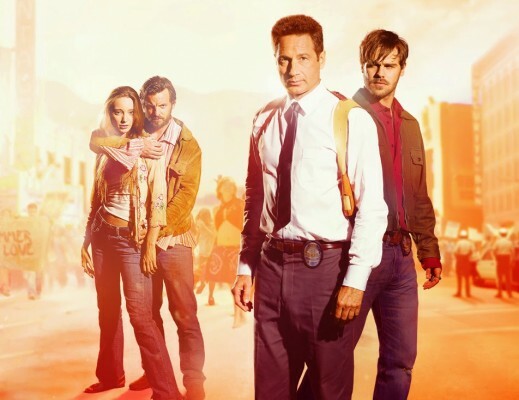 A newly “retired” Hodiak tracks down the serial killer who has been tormenting him for months, without the protection and authority of his police position. Manson sends Tex, Sadie, Emma, and Patty to 10050 Cielo Drive, where they are swept up in one of the most infamous crimes in the country’s history. What do you think? Do you like the Aquarius TV show? Do you think it should have been cancelled or renewed for a third season? I am so sick of awesome shows being cancelled. It makes me not want to watch series anymore. Tv has turned into shows that are called reality but are so very unrealistic, and about popping pimples. But a thought provoking, well acted, drama gets cancelled. Very very disappointing! WHY WOULD YOU CANCEL THIS??? IT WAS SOOO GOOD! Of course it was cancelled. It was intelligent, thoughtful, complex, well scripted, well acted, well directed and the production values were supberb. The problem was, it appealed to the wrong demographic, i.e., an intelligent, generally more mentally and emotionally mature audience and included too many of the older generations. I’m speculating here, but I think, as with POI, the fear might have been that it garnered more support from Conservatives and would create a backlash from Progressives. I absolutely loved this show! I just cannot believe it was canceled. DD was excellent and believable in this role. The entire cast was great. Bring it back!!!! We need closure! And Charmaine was my fav chick! Best thing David Duchovny ever did.